Prof. Tahsin Beyzadeoğlu was born in Bursa, Turkey in 1971. After graduating Trakya University Faculty of Medicine in 1994, he has accomplished his specialty residency at Istanbul University Cerrahpasa Faculty of Medicine, Department of Orthopaedics and Traumatology in 2000. Between January 2001 and August 2005 he has worked at Private Umut Hospital in Istanbul. Between August 2005 and September 2012 he has worked at Yeditepe University Hospital Department of Orthopaedics and Traumatology and got his Associate Professorship degree. 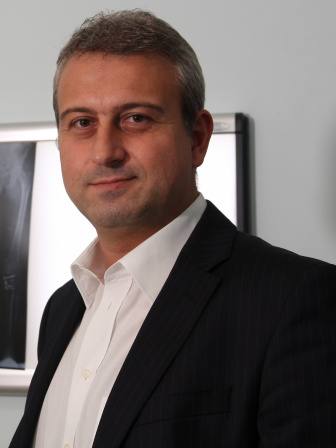 Since September 2012, he is owner of an Orthopaedic practice group, Beyzadeoglu Clinic in Istanbul. He had Professorship degree in 2013 from Halic University, Istanbul and still continues giving lectures both for graduate and after graduate physiotherapy and medical faculty students. His main specialties are; Sports Injuries, Arthroscopic Surgery and Hand Surgery. Beyzadeoglu has served as Head Team Physician of Turkish Men’s National Basketball Team. He has also been a member of The Executive Board of Health Committee of Turkish Football Federation, Health Committee of Turkish Basketball Federation and Health Committee of Paralimpic Federation. He consults most of the basketball teams in Euroleague and Turkish League and mainly Fenerbahce Sports Club. He has 56 articles; 156 oral and poster presentations; 23 book chapter writings; and 211 conference, panel and seminary lectures published in national and international scientific platforms. He is fan of Fenerbahce Sports Club. He is married and father of two sons.